Acierto, Marife Agustin. 2017. Entrepreneurship. Manila : unlimited Books Library Services and Publishing Inc.
Acopra, Jioffre A. 2016. Kadluan at tinig : Aklat sa komunikasyon at Pananaliksik sa Wika at Kulturang Pilipino para sa ika-11 Baitang. Manila : Mindshapers Co., Inc.
Acierto, Marife Agustin. 2017. Fundamentals of accountancy, business and management 1. 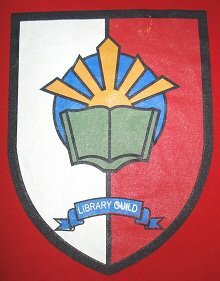 Manila : Unlimited Books and Library Services Publishing Inc.
Acierto, Marife Agustin. 2018. Fundamentals of accountancy, business and management 2. Manila : Unlimited Books and Library Services Publishing Inc.
Aduana, Nick L. 2016. Entrepreneurship in Philippine Setting for Senior High School. Quezon City : C & E Publishing. Qang, Jaime Gutierrez. 2016. Reading & Writing. For Senior High School. Manila : Mindshapers co., Inc.
Apolonio, Joshua A. and Ma. Leticia Jose C. Basilan. 2017. Practical Research 1. Manila : Unlimited Books Library Services and Publishing Inc.
Apolonio, Joshua A. and Ma. Leticia Jose C. Basilan. 2017. Practical Research 2. Manila : Unlimited Books Library Services and Publishing Inc.
Apolonio, Joshua A. and Ma. Leticia Jose C. Basilan. 2017. Oral Communication in Context. Manila : Unlimited Books Library Services and Publishing Inc.
Ariola, Mariano M. 2017. Disciplines and Ideas in the Social Sciences. Manila : Unlimited Books Library Services and Publishing Inc.
Bargo,Darwin D. 2016. English Plus : An intensive grammar review. Quezon City : Great Books Trading. Basilan, Ma. Leticia Jose Cabana. 2018. Letra : 21st Century Literature from the Philippines and the World. Manila : Unlimited Books Library Services and Publishing Co., Inc.
Bernardez, Edisteo B. 2014. Business Correspondence Social Communications and Technical Writing. Manila: Unlimited Books Library Services and Publishing Inc.
Caday, Ma. Aurora R. Tuzon. 2016. The Philippine Government & Constitution. Manila : Mindshapers Co., Inc.
Caday, Ma. Aurora R. Tuzon, Michael C. Pangilinan and Florante C. Agdon. 2015. History of the Philippines. Manila : Mindshapers Co., Inc.
Cadiz, Arlon P. 2017. Fundamentals of Earth & Life Science. Manila : Mindshapers Inc.
Concepcion, Gisela P. Padilla. 2015. Science Philippines : Essays on Science by Filipinos. Quezon City : University of the Philippines Press. Cristobal, Amadeo Pangilinan and Maura Consolacion De La Cruz-Cristobal.2017. Practical Research for Senior High School 2. Quezon City : C & E Publishing Inc. Practical Research for Senior High School 1. Quezon City : C & E Publishing De Guzman, Angeles A. 2018. Fundamentals of Accountancy, Business & Management 2 for Senior High School. Metro Manila : Lorimar Publishing. De Guzman, Danilo. 2017. Statistics & Probability. Manila : C & E Publishing, Inc.
in General Mathematics. Quezon City : C & E Publishing Inc.
Duyanen, Joselito P. and Mylene Ortiz-Andaya. 2016. Earth and Life Sciences for Senior High School. Quezon City : C & E Publishing Inc.
Dy, Diana N. Jerald Lester R. Dinglasa and Cyrus T.N. Alcantara. 2017.Sports for Life. Quezon City : C & E Publishing. Eliserio, U Z., et al. 2016. Malikhaing Pagsulat Para sa Senior High School. Quezon City : C & E Publishing Inc.
Pilipino. Manila : Mindshapers Co., Inc.
Jeong, Luz Sulpico and Leonardo Garcia, Jr. 2016.International Marketing. Quezon City : C & E Publishing, Inc.
Lim, Romeo D. 2017. Understanding Travel & Tours Essential. Intramuros, Manila : Mindshapers Co., Inc.
Magan, Rhodora G., Charity T. Turano and Maria Cristina B. Nano. 2018. Academic and Professional Communications in applied English for Senior High School. Manila : Mindshapers co., Inc.
Magalona, Ethel, Ma. Anne Zoleta, and Aisa P. Arlos . 2017. Contemporary Philippine Arts From the Regions.Manila : Mindshapers Co., Inc.
Menoy, Jesus Z. 2016. 21st-Century Literature of the Philippines and the World.Mandaluyong City : Books Atbp. Publishing Corp.
Nuncio, Rhoderick and Elizabeth Morales-Nuncio. 2017. Sidhaya 12 : Pagbasa at Pagsusuri Tungo sa Pananaliksik. Quezon City : C & E Publishing Inc.
Punzalan, Michelle Duya., Nino C. Melinda and Romeo P. Gonzalvo Jr. 2016. Physical Education and Health for Senior High School. Manila : Mindshapers, Co. Inc.
Ragma, Feljone Galima. Research 1 & 2 : Qualitative and Quantitative Research for Senior High School. Manila : Mindshapers Co., Inc.
Regalado, Teresita B. 2016. General Chemistry 1. Malabon City : Jimczyville Publications. Reyes, Cristopher G. 2018. Work-text in General Physics 1 for Senior High School. Quezon City : Great Books Trading. Sagales, Ederlina B. Maniquiz. 2016. Differential Calculus. Manila : Unlimited Books Library Services and Publishing, Inc.
Sarmiento, Felipe M. 2016.Plane geometry with basic trigonometry. Manila : Unlimited Books Library Services Publishing Inc.
Schneider, Gary. Electronic Commerce. Taguig City : C & E.
Serapio, Maria Perpetua Arcilla. 2016. Practical Research 1. Manila : Mindshapers, Co., Inc.
Sirug, Winston S. 2017. Statistics and probability for Senior High School Core Subject. Manila : Mindshapers, Inc.
Tandoc, Shiella D. 2016. Reading and Writing Skills. Intramuros, Manila :Mindshapers Co., Inc.
Tayao, Ma. Lourdes G., Rosario I. Alonzo and Eden Regala Flores.2017. 21st– Century :Literature from the Philippines and the World for Senior High School. Quezon City : C & E Publishing. Valverde, Orlando T. et al. 2016. Komunikasyon at Pananaliksik sa Wika at Kulturang Pilipino para sa Baitang 11. Manila : Mindshapers Co., Inc.
Yuvienco, Joel C. 2017. Media and Information Literacy. Quezon City : C & E Publishing Inc.
Yuvienco, Joel C. 2017. Empowerment Technologies : making small shifts towards a big difference. Quezon City : C & E Publishing Inc.
Zarate, Cynthia A. 2016. CQuezon City : C & E Publishing Inc.
McCafferty, Catherine. 2005. A Moment To Remember. New York : RandomHouse. Tejido, Mike. 2016. Si Macky ang Maliksing Paniki. Mandaluyong City : Anvil Publishing. Papa, May Tobias.2008. Araw Sa Palengke. Quezon City :Adarna House. Lansky, Bruce. 2004. 45,000 Baby Names. New York : Meadowbrook Press. Lim, Romeo D. 2014. Gaming & Cruise. Manila : Mindshapers Co., Inc.
Adams, Christine A. 1999. Gratitude Therapy. Pasay City : Paulines Publishing House. Aranha, Teresa. 2014. A to Z Tips for Parents. Pasay City : Paulines PublishingHouse. Bradshaw, Clair. 1996. Get Well Therapy. Pasay City : Paulines Publishing House. Coleman, William L. 2010. Friends Forever. Pasay City : Paulines Publishing House. Dotterweich, Kass P. 1994. Friendship Therapy. Pasay City : Paulines Publishing House. Engelhardt, Lisa. 1992. Acceptance Therapy. Pasay City : Paulines Publishing House. Engelhardt, Lisa and Karen Katafiasz. 1992. Anger Therapy. Pasay City : Paulines Publishing House. Engelhardt, Lisa. 1993. Happy Birthday Therapy. Pasay City : Paulines Publishing House. Engelhardt, Lisa. 2013. You are an Amazing Woman. Pasay City : Paulines Publishing House. Grippo, Daniel. 2004. Healing Thoughts for Troubled Hearts. Pasay City : Paulines Publsihing House. Grippo, Daniel. 2005. Believe-in-yourself Therapy. Pasay City : Paulines Publishing House. Hill, Mary Lea. 2010. Life’s Purpose : Wisdom from John Henry Newman. Pasay City : Paulines Publishing House. Kerry, Margaret. 2011. Strength in Darkness : Wisdom from John of the Cross Pasay City : Paulines Publishing House. Maurus, J. 1978. Best of a Lady. Pasay City : Paulines Publishing House. Maalouf, Jean. 2010. The Healing Power of Simplicity. Pasay City : PaulinesPublishing House. Maalouf, Jean. 2011. The Healing Power of Truth. Pasay City : Paulines PublishingHouse. Maalouf, Jean. 2000. The Healing Power of Beauty. Pasay City : PaulinesPublishing House. Maalouf, Jean. 2005. The Healing Power of Forgiveness. Pasay City : PaulinesPublishing House. Morrow, Carol Ann. 1998. Getting older, growing wiser. Pasay City : Paulines Publishing House. Morrow, Carol Ann. 1998. Trust in God Therapy. Pasay City : Paulines Publishing House. Mundy, Linus. 1998. Elf-help for Overcoming Depression. Pasay City : Paulines Publishing House. Mundy, Linus. 1998. Keep-life-simple therapy. Pasay City : Paulines Publishing House. Pattaguan, Emmanuel James P. 14 P’s of becoming the best parents in the 21st Century. Quezon City : Great Books Trading. Pirott, Laura. 2004. Take Charge of Your Eating. Pasay City : Paulines PublishingHouse. Schell, David W. 1999. Forgiveness Therapy. Pasay City : Paulines Publishing House. Silayan, Mary Jo Zaragoza. 2016. Healed : a family love story. Pasay City : Paulines Publishing House. Alferez, Merle S. ___ Review Questions 2 for Ateneo De La Salle UST UA&P U.P. and other College Entrance Tests. Quezon City : Academic Advancement Institute . Alferez, Merle S. , et al. 1998. NSAT and College Entrance Test Reviewer. Cainta, Rizal : MSA Publishing House. Alferez, Merle S., et al. 2007. National Career Aptitude Exam Preparation Volume 1. Quezon City : MSA Publishing house. Alferez, Merle S., et al. 2010. National Achievement Test Reviewer for Grade 6 Book 2. Quezon City : MSA Publishing House. Alferez, Merle S. 2012. National Achievement Test Reviewer for 4th year H.S. Cainta : MSA Publishing House. Alferez, Merle S. 2010. Math Competition Book Grade 6 Level. Cainta : MSA Publishing House. Alferez, Merle S. 2008. High School Entrance Test and National Achievement Test Reviewer for Grade 6. Cainta : MSA Publishing House. Alferez, Merle S. 2001. Reviewer for ACET (All College Entrance Test) and UPCAT. Querzon City : MSA Publishing House. Alferez, Merle S. 2010. Math Competition Book 1 High School Level. Cainta : MSA Publishing House. Earnhart, Richard T. and Edgar M. Adina. 2015. Mathematics in the Modern World. Quezon City : C & E Publishing Inc.
Icutan, Sherelle Lou Sumera, et al. Statistics with probability. Malabon City : Jimczyville Publication. Valderama, Marcon S. 2016. Differential Calculus. Manila : Mindshapers co., Inc.
Atul Thakur and Preeti Thakur.___ 44 challenging Physics Projects.India : Goodwill Publishing House. Almocera, Evelyn Villaflor. 2017. Healthy Foods Healthy Lives. Manila : Philippine Publishing. Alferez, Marites P. 2012. National medical Admission Test I : Chemistry.Cainta : MSA Publishing House. Alferez, Marites P. 2012. National Medical Admission Test – Practical Test : Biology.Cainta : MSA Publishing House. High Schools. Cainta, Rizal : MSA Publishing. High Schools volume 2. Cainta, Rizal : MSA Publishing. Alferez, Merle S., et al. 2001. National Medical Admission Test Reviewer. Cainta, Rizal : MSA Publishing. Alferez, Marites P. National Medical Admission Test. Cainta, Rizal. MSA Publishing. Comiso, Josefino C., et al. 2014. Changing Philippine Climate : Impact to Agriculture and Natural Resources. Diliman : The University of the Philippine Press. Brecher, Erwin and Mike Gerrard. ______Challenging Science Puzzles. New Delhi : Goodwill Publishing House. Eusebio, Mario A. 1998. Pathology in Forestry. Laguna : Ecosystems Research and Development Bureau. Lopez, Christhotel C., Christian Noel T. Cantero and Ma. Jhoserie N. Pulido. 2017.Earth Science. Quezon City : Lorimar Publishing. Salandanan, Gloria G., Ruben E. Faltado III, and Merle B. Lopez. 2016. Earth and Life Sciences. Quezon City : Lorimar Publishing. Tan, Rosalinda Palanca. 2014. Nature and Culture : Environmental Issues in Asia.Quezon City : Ateneo Center for Studies. Filipino. Quezon City : Ateneo De Manila University Press. Multicultural Society. Quezon City : Ateneo de Manila University Press. Marx, Karl and Frederick Engels. 2008. The Communist Manifesto. New York : Pathfinder. Luna, Alden Reuben B. 2016. Social Responsibility and Good Governance. Manila : Unlimited Books Library Services and Publishing Inc. Page, Jason. 2012. Boxing and other combat sports. _ Wise Walrus. Perdon, Renato. 2012. Kulturang Pilipino. Sydney, Australia : Manila Prints. Valenzuela, Edwin E. Rizal and Other Heroes : their Relevance In Modern Filipino Nationalism – Textbook in Rizal Course and in Philippine Political Theories for College Students. Manila : Unlimited Books Library Services and Publishing Inc.
Dahl, Roald. 1980. The Twits. New York : Puffin Books. Kinney, Jeff. 2011. Diary of A Wimpy Kid :Greg Heffley’s Journal. New York Amulet books. Kinney, Jeff. 2011. Diary of A Wimpy Kid : Cabin Fever. New York : Amulet Books. Palacio, R.J. 2012. Wonder. New York : Alfred A. Knopf. Stilton, Thea. Thea Stilton and the Chocolate Sabotage. New York : Scholastic. ______. Sleeping Beauty. India : Academic India Publishers. Arevalo, C. G. 2012. Pedro Calungsod : Binatilyong Unang Martir ng Kabisayaan. Pasay City : Paulines Publishing House. Abriol, Mons. Jose C. 2017. Talambuhay ng mga Santo at mga kapistahan ng Mahal na Birhen. Pasay City : Paulines Publishing House. Cleary, Beverly. 1954. Henry and Ribsy. New York : Harper. Daughters of Saint Paul. 2013. Lives of Saints. Pasay City : Paulines Publishing House. Basilan, Ma. Leticia Jose Cabana. 2017. Ink and Wit. Manila : Unlimited Books Library Services and Publishing Inc.
Cerezo, Apelles A. 2016. Great poems, speeches, orations, and declamation pieces. Sta Cruz, Manila : Gayo Publishing. Hernandez, Clarissa Rivero. 2007. Comprehensive English Handbook. Cainta : MSA Publishing House. Stearman, Kaye. 2011. Freedom of Information. London : Wayland. This entry was posted in New Acquisition, Uncategorized and tagged New Acquisition. Bookmark the permalink.